This guide is about connecting a domain name to an existing account. If you wish to connect several domain names to a single account, have a look at this guide. 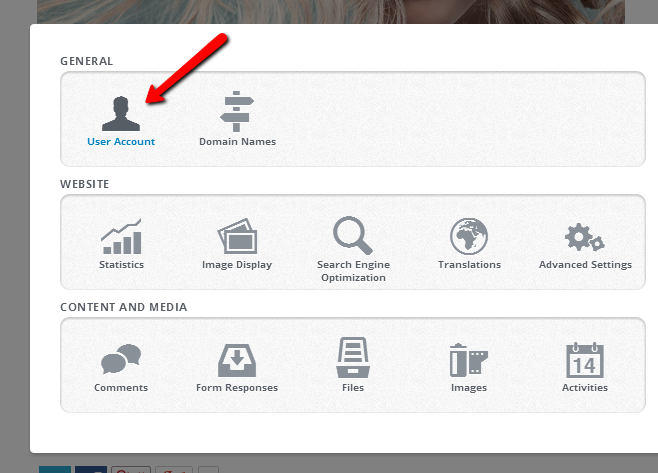 Sign in to your website account, go to Settings and click User Account. In the dialog box, click Change the address to enter the Domain Name panel. Follow the instructions to add, change or remove your domain names. 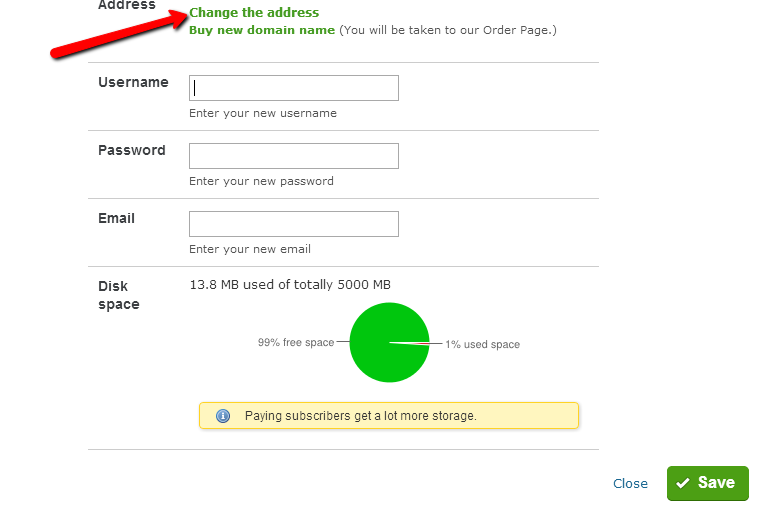 Please note: If you do not see the Change the address button, it means that you do not have an active subscription. Go here to learn about connecting your domain name when making a new subscription.